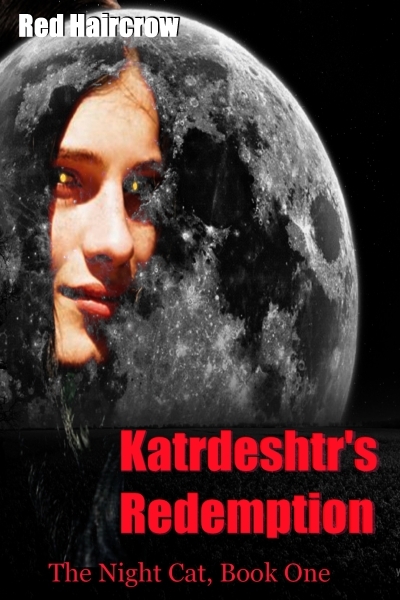 Here’s my review of “Katrdeshtr’s Redemption”, The Night Cat, Book One, written by me. Description: Ancient, brutal beauty, Katrdeshtr the Night Cat, Russian vampire and incorrigible mischief maker turns to old pleasures to relieve his eternal boredom, yet when his sometimes partner finds a new love, satisfaction takes on new meaning. This change of events can only end in someone’s eternal death and Kat doesn’t intend for it to be him! Review: “While the story isn’t in itself unique, as the market is currently flooded with a preponderance of vampire fiction of all kinds, the character Katrdeshtr was compelling and quickly engaged my interest. His mercurial personality shown through, and the author succeeded in highlighting his special combination of innocent beauty and old evil. We are given a poignant though brief glimpse into his past as a human which I wish had been more expansive, but perhaps it will be expounded upon in other volumes. At times I found the prose overly descriptive which slowed the flow of the swiftly moving tale but it did become more streamlined at it moved towards the climax. Secondary characters like Tal Trieska, Kat’s long time lover and fellow vampire, and Marek the Polish Prince, his ardent though rejected follower, were strong yet didn’t steal Katrdeshtr’s central role. Since it is to be a series, I could see where they could be incorporated again or even have their own book or two. Rated Mature for an introductory sexual scene with overtones of violence. My point of this exercise is to show that most writers are cognizant of the flaws or faults in their stories, or aspects which might have been written another way. So in keeping with my support of making appropriate replies to reviews without being censured by peers or others, this is an example of how flaws can be noted while still being professional in tone. Posted in Reviews, Writing and Writers. Tagged book reviews, reviews, self-analysis, self-critiques, writing. Previous: Previous post: A Discussion on Response to Reviews: Elitism?